All natural candy, made of tamarind, is perhaps the best candy of all. Chewy, delicious, sour, healthy tamarind fruit coated in cane sugar and a bit of salt. There is also a sprinkling of chile powder to give it a slight spicy bite. You'll find two or three small seeds inside each piece. 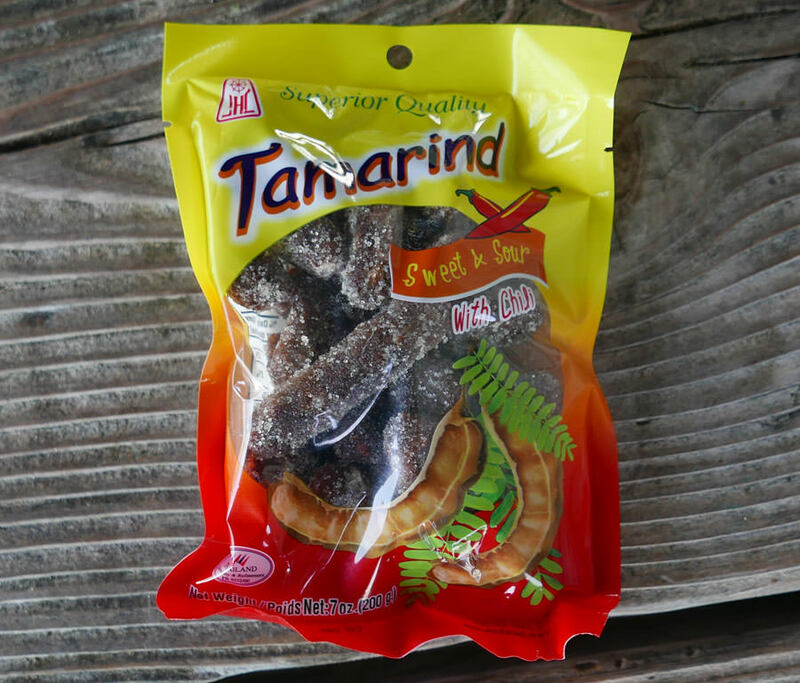 We've sold traditional tamarind candy for years, and it's one of our most popular items in terms of repeat orders. We like this brand even better. If you like tamarind candy, or if you've never tried it before, give this a try. Generous quantity. Attractive strong package. Ingredients: 94% tamarind, 5% sugar, 1% salt (salt with chile for the version that includes it). Product of Thailand.